EJAFB is open to all who wish to engage in the business of reviewing and publishing of our journal. 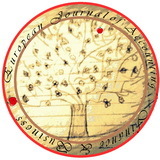 Please keep in mind that EJAFB is seeking qualified researchers as members of the editorial team. Like our other journals, EJAFB will serve as a great resource for researchers across the globe. We ask you to support this initiative by joining our editorial team. If you are interested in serving as a member of the Peer Review Editorial Board, kindly send your schort CV and Registration Form EJAFB for reviewers to ejafbusv@gmail.com or ejafbuvt@gmail.com. For International Editorial Board send your schort CV and Registration Form for International Editorial Board to ejafbusv@gmail.com or ejafbuvt@gmail.com.